There is SO much editing and mental processing of our Germany trip. Castle Frankenstein as a trip unto itself was epic and story-worthy. The legend behind the Werner Kappelle is also sad and spine-chilling. So much to do in the next few weeks. We though we'd leave you with some highlights until we come to a time when we might really be able to give this time a thorough work-over. Considered the most notorious haunted house in the state of Wisconsin, Summerwind mansion is steeped in legend and mystery. Many purchasers reported an unease about the property even though even if they had never experienced any ghostly activity themselves. 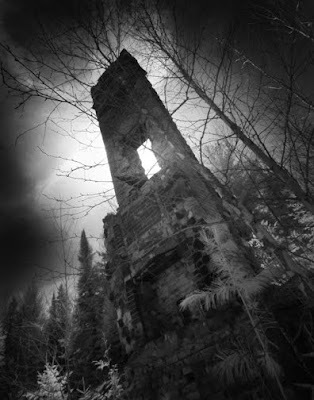 Now a burned-out ruin among the pines of the Northwoods, the former mansion has gained a cult following, becoming a place for those looking to experience bizarre phenomena themselves. Built in 1916 by Robert P. Lamont for himself and his family on the shores of West Bay Lake in northeast Wisconsin, the mansion was an escape from the pressures of political life in Washington D.C. during the summer months. The original structure, a fishing lodge, was purchased by Lamont, who employed Chicago architects to remodel the property and convert it into a mansion. 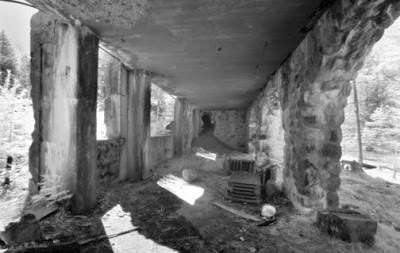 During his 15 years at the mansion Lamont believed the structure was haunted. 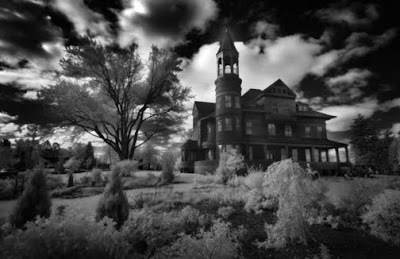 Lamont suddenly abandoned the mansion in the mid 1930s after one particularly frightening evening. He and his wife had just settled down to an evening meal in the kitchen, when the door to the basement shook itself open and a ghostly form of a man appeared. Lamont grabbed a pistol and fired two shots at the apparition as door swung shut. Holes in the basement door could still be seen many years later after the home came under new ownership. From the 1940s to the 60s the house was owned by the Keefer family but remained largely unoccupied. When Mr. Keefer died his widow subdivided the land and sold it to purchasers but they experienced financial difficulties in keeping up payments. When Arnold and Ginger Hinshaw and family moved to the house in the early 1970s many strange occurrences began to unfold and much of the haunting seemed to take place during this time. 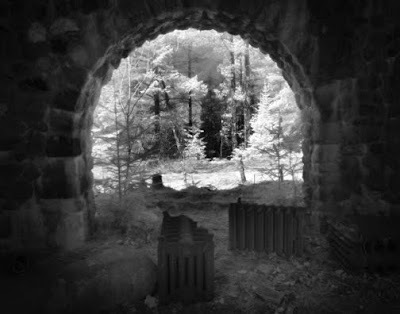 Shadows would be seen moving down the hallways, whispers would be heard but then stop when the Hinshaws entered the room, unexplained electrical and mechanical problems often occurred at the home, windows and doors would open and close by themselves. One window raised and lowered so often at all hours that Arnold nailed it shut. An apparition of a woman would appear near the dining room. During this time the Hinshaws tried to renovate their historic home but had trouble keeping workers because Summerwind gained a reputation for being haunted. Workers would not show up for work, usually claiming illness, a few of them simply outright refused to work. The Hinshaws decided to do the work themselves. During the renovation, Arnold was painting a closet in one of the bedrooms and removed a shoe drawer from a closet. He discovered a hidden dark space behind it. When Arnold investigated the space he thought he saw the remains of an animal. The entrance to this space was too small for him to fit into so he sent his daughter Mary with a flashlight to investigate. Moments later Mary let out a scream and claimed discovering a human skull and strands of black hair. For some reason no report was made to the police. The body mysteriously vanished when Ginger's father and brother investigated the space many years later. The discovery of the corpse marked a turning point for the family. Arnold began display strange behavior, staying up late at night playing their Hammond organ that they purchased before moving into the house. 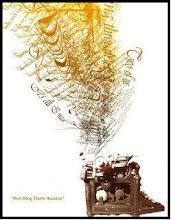 The music became a strange mixture of senseless melodies which grew louder during the night. Ginger pleaded for him to stop but Arnold claimed the demons in his head demanded that he continue to play. He often played the bizarre music until dawn as his frightened wife and children took refuge in one of the bedrooms. Six months after moving into the house, Arnold suffered a breakdown and Ginger attempted suicide. Several years later Ginger's father, Raymond Von Bober, bought Summerwind and wanted to turn the house into a restaurant. The Von Bobers' attempts to renovate the house suffered the same problems as the Hinshaws' years ago. Von Bober's son Karl experienced a variety of unnerving events. 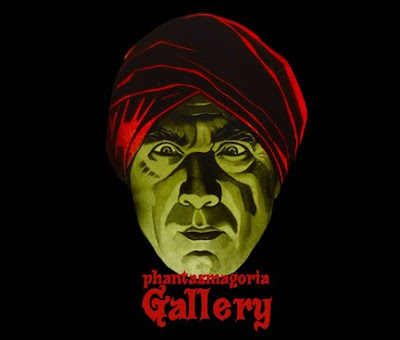 While walking through a hallway he heard a voice call his name, but he was the only one in the house. Then he heard what heard what sounded like two pistol shots and ran into the kitchen to find the room filled with smoke and the smell of gunpowder, an apparent supernatural reenactment from the 1930s Lamont incident. During Von Bober's renovations workmen also began to report uneasiness as tools began to disappear. Furnishings appeared in photographs, which had not been existence since the original owners had possession of the home. Room dimensions appeared to change in these photographs and as draftspeople tried to produce blueprints of rooms. By the 1980s the mansion was abandoned for good. People visiting during this time reported seeing objects flying around, disappearing and reappearing, and photographs would have odd shadows in them. Some experienced seeing the mansion as it would have appeared in earlier times. In June 1988 the mansion was struck by lightning and burned to the ground. All that survived was the house's chimney stacks, foundations, and stone staircase. For us the house seemed to retain its sense of mystery. On our first trip to explore and photograph the house we never found it, despite being within several yards of the ruin. A few days later after further research we decided to try again. 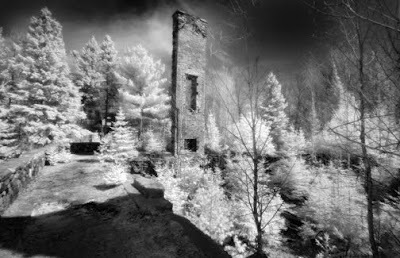 This time we found it and we felt a sense of sadness and abandonment contrasting the pleasant sunny day, as we approached the ruin. The chimneys stood like tombstones against the sky, an epitaph to its former glory. The dull buzzing sounds of the spring hatching of flies on the mansion grounds added to the eerie atmosphere. As we walked around the ruin among the weeds and wild growing trees, Anna and I photographed and talked about the house, how sad that such a grand home had become so desolate. In spite of the walls having burned down long ago, the house seemed to retain its sense of volume. The weed-covered foundation and archways that still remain hinted to a grander time. We both wondered why no one has tried since the 1980s to clear the land and rebuilt another home. Recently I've been interested in, more like obsessed by, mechanical toys or Automata. 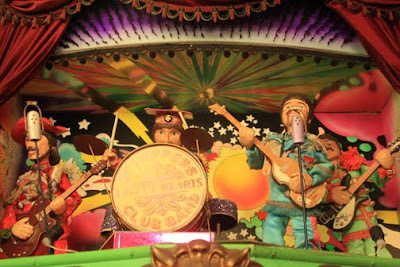 An automaton (plural: automata or automatons) is a self-operating machine. I've always been fascinated by mechanical objects since I was a kid. We own a few animated motionettes of the Universal Studios Monsters that I proudly display in the house year round. What began my recently renewed fascination was a few weeks back I had to travel to Madison WI for my job. Luckily my family was able to come with and we spent the day going to various stops and eating at one of our favorite restaurants. After I fulfilled my obligation to my job, Anna felt we should visit one restaurant she had visited in her high school days. Ella's Deli is a full kosher deli and ice cream shop with an amazing display of whimsical animated displays that fill the entire restaurant. Every table has some sort of interesting feature from working model trains to marble maze races built into a recessed glass-covered box as the tabletop. Mechanical figures move and rotate above your head. There is something to see and do everywhere. During the spring, summer and fall months a restored 1927 Parker Carousel complete with organ music is available for rides outside. 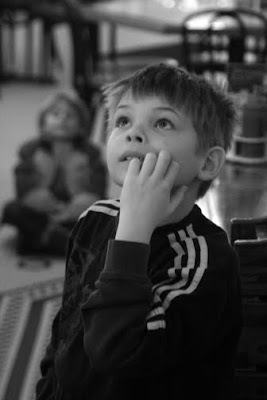 The amazement and wonder in the kids' faces upon our visit that day was priceless. I felt the same way and wondered if I could do something similar with the mechanical figures but with a more macabre touch to it. 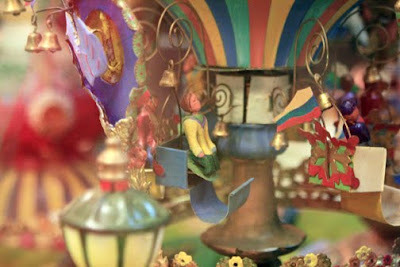 Over the past few weeks I found a few websites about Automata and mechanical toys. We posted a few on the blog that are the most interesting. I began to dive deeper and we will be ordering a book in a few days about how to make them. The whimsical nature, the craftsmanship, the simplicity of the machine, and wonder that they evoke is the fascination I just adore. I want to begin reading a few books about the subject, then I want to purchase a few kits before I begin designing and building an original machine. We have remained busy during the winter months, scheduling a trip to Germany and other places in the US, as well as designing a few new items that we will be presenting for purchase in the coming months. 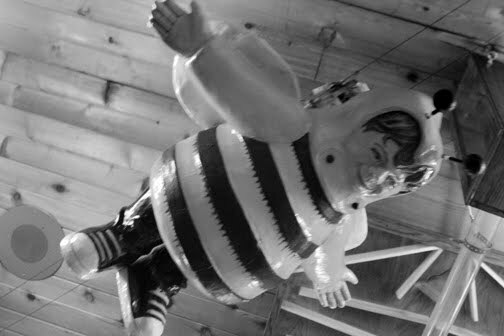 We are ready to emerge from winter's hibernation and venture to a few haunted places for more images and stories in the coming weeks. For us the spring and fall months are ideal for our haunted project. The grass remains green but the leaves are gone leaving only the bare trees. The weather can be very cooperative with warm and cool days. 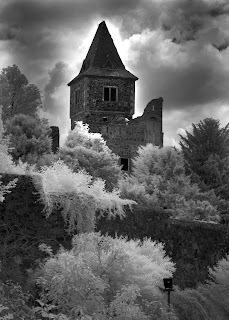 Just perfect for Infrared photography. Here are a few images of just some of the designs that will be available for purchase at Zazzle very soon as tote bags and shirts. BALTIMORE - Is this tradition "nevermore"? 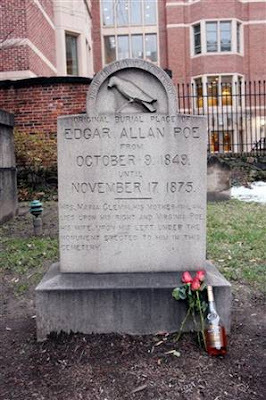 A mysterious visitor who each year leaves roses and cognac at the grave of Edgar Allan Poe on the writer's birthday failed to show early Tuesday, breaking with a ritual that began more than 60 years ago. "I'm confused, befuddled," said Jeff Jerome, curator of the Poe House and Museum. "I don't know what's going on." The tradition dates back to at least 1949, according to newspaper accounts from the era, Jerome said. Since then, an unidentified person has come every year on Jan. 19 to leave three roses and a half-bottle of cognac at Poe's grave in a church cemetery in downtown Baltimore. The event has become a pilgrimage for die-hard Poe fans, some of whom travel hundreds of miles. About three dozen stood huddled in blankets during the overnight cold Tuesday, peering through the churchyard's iron gates hoping to catch a glimpse of the figure known only as the "Poe toaster." At 5:30 a.m., Jerome emerged from inside the church, where he and a select group of Poe enthusiasts keep watch over the graveyard, and announced to the crowd that the visitor never arrived. He allowed an Associated Press reporter inside the gates to view both of Poe's grave sites, the original one and a newer site where the body was moved in 1875. There was no sign of roses or cognac at either tombstone. "I'm very disappointed, to the point where I want to cry," said Cynthia Pelayo, 29, who had stood riveted to her prime viewing spot at the gate for about six hours. "I flew in from Chicago to see him. I'm just really sad. I hope that he's OK."
Pelayo and Poe fans from as far away as Texas and Massachusetts had passed the overnight hours reading aloud from Poe's works, including the poem "The Raven," with its haunting repetition of the word "nevermore." Soon they were speculating, along with Jerome, about what might have caused the visitor not to appear. "You've got so many possibilities," said Jerome, who has attended the ritual every year since 1977. "The guy had the flu, accident, too many people." Tuesday marked the 201st anniversary of Poe's birth, and Jerome speculated that perhaps the visitor considered last year's bicentennial an appropriate stopping point. "People will be asking me, 'Why do you think he stopped?'" Jerome said. "Or did he stop? We don't know if he stopped. He just didn't come this year." Jerome said he will continue the vigil for at least the next two or three years in case the visits resume. "So for me it's not over with," he said. In early October, 2009, Anna and I drove to the northern part of the state for a competitive run. Ashland, a small former fishing and shipping hub on Lake Superior, was about two hours away and made for a long but enjoyable drive to a part of the state that I hadn't seen much of. With the race's popularity, we were unable to gain a hotel close to the race area so we had to stay in Michigan's Upper Peninsula. For dinner we took part in a regional tradition, a fish boil, afterward caught Zombieland at a local 80's era movie house, then went to bed. We woke to two inches of snow and a frantic drive back into Wisconsin along the lakeshore to the race staging area. Anna ran and she did a fantastic job, her fastest and best time yet, despite the very cold weather. After two hours standing in the cold to cheer her on, I warmed up while we got her metal engraved. We loaded into the car and continued northwest along the coastline to Bayfield, another small town along Lake Superior, known for the Apostle Islands and its history as an important fishing and shipping village, similar to Ashland. Between the two towns we stopped in an artist town, to pick up two very flaky turnovers from a small bakery and browse an interesting second-hand store. 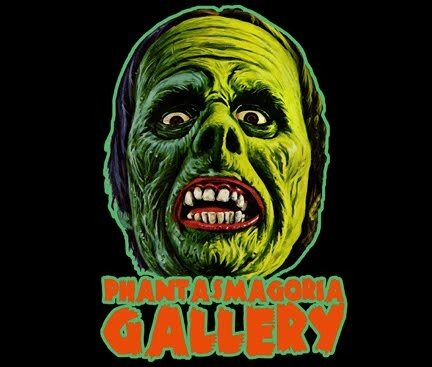 There we picked through the costumes and vintage clothes, coming away with two plastic dime-store Halloween masks from the 70's, which now hang in our kitchen. We visited the local shops and artist studios after arriving in Bayfield. Then as the light outside grew dim we decided to take a Ghost tour. We hoped to find some information about other haunted places to photograph. The guide had a knack for story-telling, which helped us forget about the biting lake-wind tearing through the town as we wandered from street to street hearing the tales of haunted Bayfield. 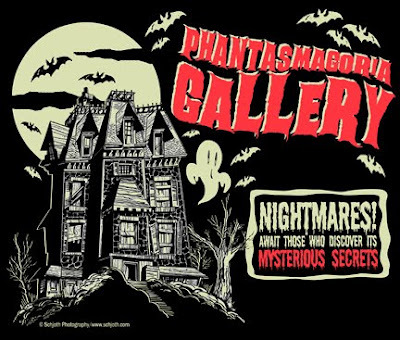 Disappointingly, the tour guide made vague references to each place to protect homeowners who frowned upon ghost-seekers. After the bitter-cold walk on the hour and a half tour we headed in the car towards Superior, just east of Minnesota exactly on the border, to meet up with friends and find our hotel. 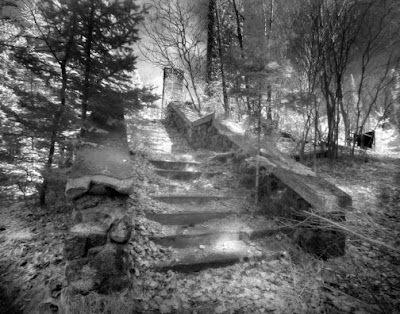 On the way we both talked about photographing the Victorian mansion, rumored to be haunted, in town the next morning. We arrived and settled in for the night. Upon waking, we asked the hotel staff for directions to coffeehouses or Starbucks to help start our day. The person at the front desk of the hotel suggested the Red Mug Espresso. We drove off into Superior. Finding the place was a bit tricky since it was located on a lower level of the Trade and Commerce Marketplace, formerly the police station and jail. The Red Mug was wonderful, filled with artwork by local artists and a stage for music on certain nights. We both ordered a drink and talked about the events of the weekend. The coffee was so well brewed Anna ordered a second. After the coffee kicked in, we headed towards the mansion we wanted to see and photograph. We arrived at the mansion and were immediately impressed by its size and Queen Anne style of architecture. We could not enter the house due to a tour at the time so we were unable to view the 42 rooms feature in the home. We walked around the lawn taking pictures, trying to include the four-story turret that loomed overhead. With the prominent porch, steeply gabled roof, and use of contrasting colors and textures the beauty of the house struck us. Built in 1891 for wealthy lumber and mining baron Martin Pattison and family, Fairlawn sits on the shore overlooking Lake Superior. After Martin’s death in 1918, wife Grace Pattison donated the mansion to the Superior Children’s Home and Refuge Association and was turned into an orphanage. The mansion served as an orphanage for about 42 years, after which the City of Superior purchased Fairlawn in 1963 for demolition in accordance with Grace Pattison’s will. Fortunately civic leaders and members of the Pattison family were able to save the mansion due to a legal loophole and turned it into a city owned museum. Visitors taking tours of the house have reported seeing a woman dressed in period clothing guiding them to specific displays then vanishing, leaving a cold damp chill in the air. Many believe it’s a servant girl that was murdered by her husband shortly after leaving the mansion. 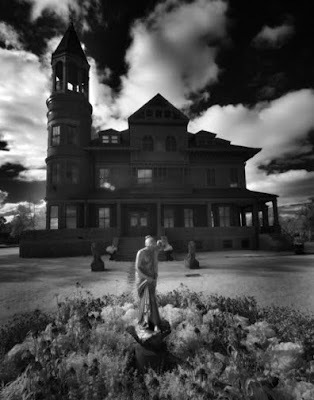 Some feel she haunts Fairlawn Mansion because it was the one place she felt happiest in her life. The ghosts of two children have been seen and heard in the basement. No records indicate that any children died in the house; some feel they may have accidentally drowned during the time the mansion served as an orphanage. Records have remained sealed by the county.